The need to move from one place to another gets more convenient when one has his/her private means of transport. Let’s say you want to rush to the convenience stores in the evening before it gets dark. You take your car keys start it and drive off. A great dashboard design in front of you and suddenly, when you approach the convenient store, some lights show on the board, and all you can do is park outside the stores and wonder what is wrong with your car. 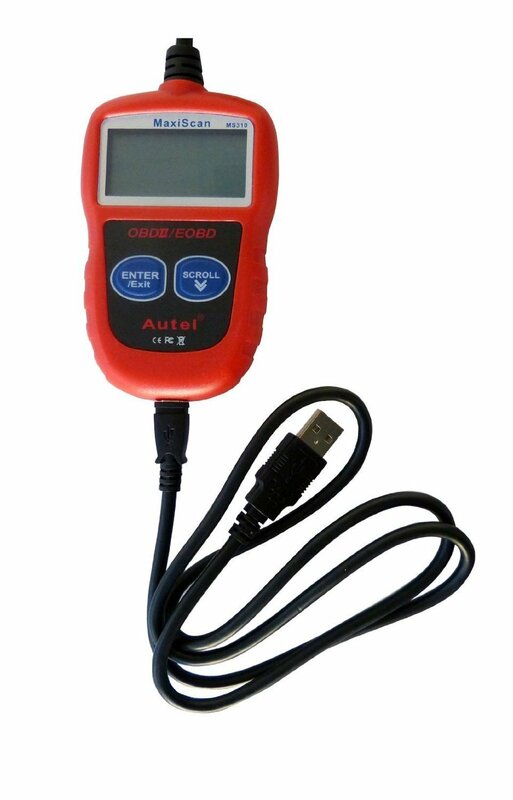 With the Autel MaxiScan MS310 car code reader, you just have to plug it in, and it will simply show you the cause of that check light at once. Simple, Isn’t it? One stubborn neighbor of has mine after seeing how simple the diagnostic was I need to get another one soonest possible. On-board diagnostics II, European on-board diagnostics and Control Area Network bus standard compliant means that the code reader works with all vehicles from manufacturers with these same trouble codes. These codes show after plugging in the code reader and there are several different codes that may show. It then reveals the code definitions which will then help you know whether the code description means a loose connection or a misfire just to name a few. This scanner Retrieves generic (P0, P2, P3 and U0), manufacturer specific (P1, P3, and U1) codes and pending codes. It may seemingly look like a difficult language. but the scanner will break down every code for you in an instance, and the only thing remaining will be ensuring your car is well taken care of after that. This scanner is like a plug and play in computer language. Yes, just plug it, and it will do the work well enough like the manufacturer intends. Once sure that your automobile is compliant with all its requirement then you will not have a hard time diagnosing what the engine check light means. With the simplicity even in design, it wouldn’t be hard even for a first timer. I didn’t spend much time looking for where to plug the scanner after purchasing it. Direct to the point it is easy enough not to trouble even a child or any other automobile user or enthusiast. Despite competition from large machine manufacturers, this scanner might be small, but it performs big just like the expensive and huge scanners. What could be more worth than to have this scanner reading it on your hands? I even feel like a pro-mechanic holding this scanner and reading out these codes out loud. Not just locally or in my neighborhood that you can find this scanner. You can find it the world over. Order it; the retailer will ship it to you. And you will access and keep up with the changing trends in the automotive scanning and diagnostics in the palm of your hands. Q: Is The Scanner Easy To Use? Q: What Is The Scanners Size? I have seen big scanners in automobile shops and imagined what sizes of vehicles it can handle. Big, I thought to myself. You might have had a similar episode like I did but I assure you that the MaxiScan by Autel is all that you imagine in a small package. Small it might seem, but it does wonders with the codes. Portable, easy to operate and quick is just a small part of what this scanner is. For all OBD, EOBD and CAN bus compliant vehicles worldwide. If I own an automobile like any mentioned here, then I would rush to the stores and grab mine while stocks last.